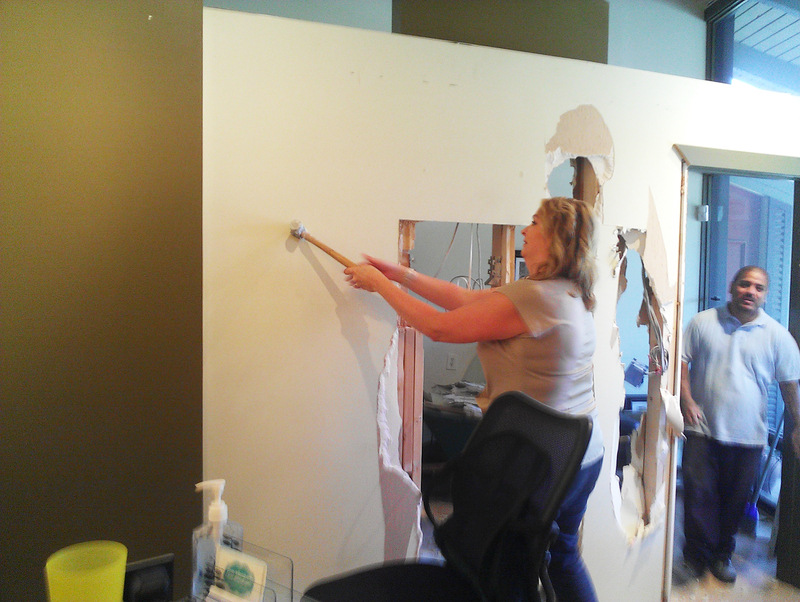 Demolition Therapy: Bigger is better! 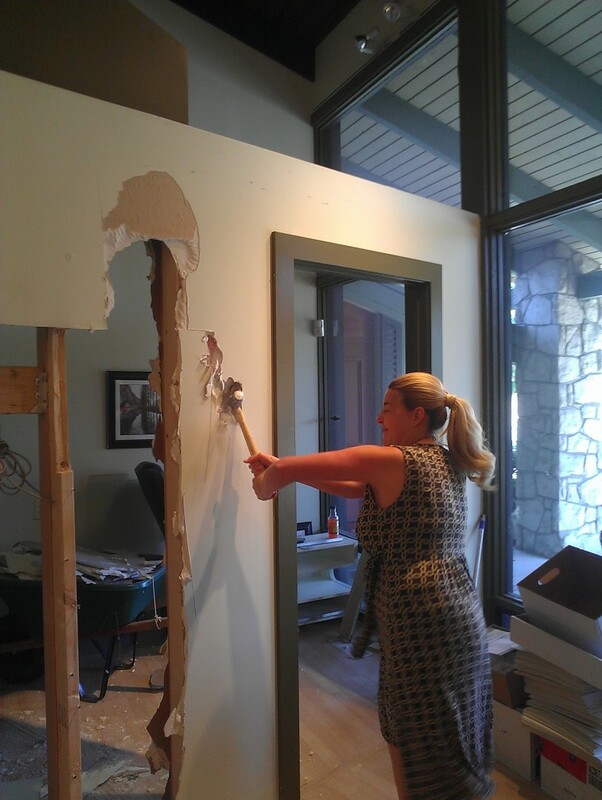 Have you ever wanted to take a sledge hammer to a wall? We did… Check us out! Ann, showing us how it’s done! Ruth, ya gotta keep your eye on the prize! Good work, though. Dave, our handy-dandy demo man. 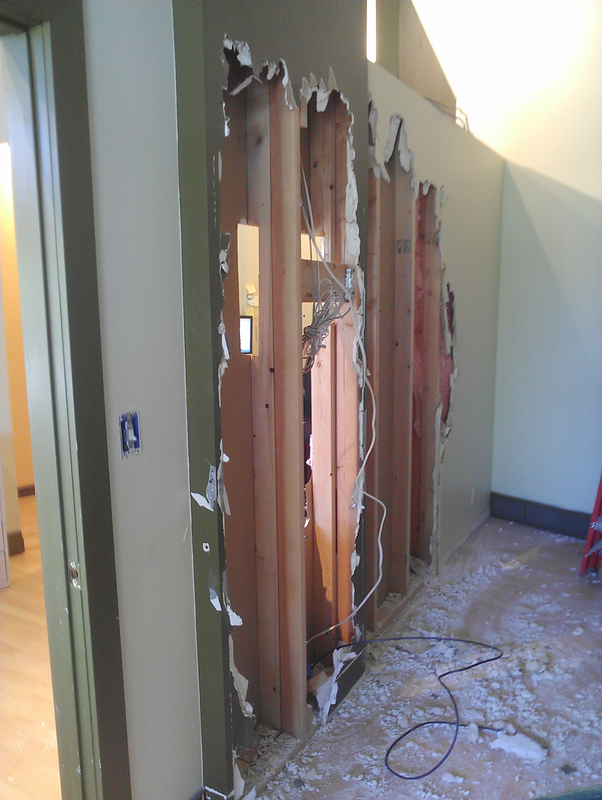 We are smack-dab in the middle of a killer remodel project here at Ann Elizabeth. 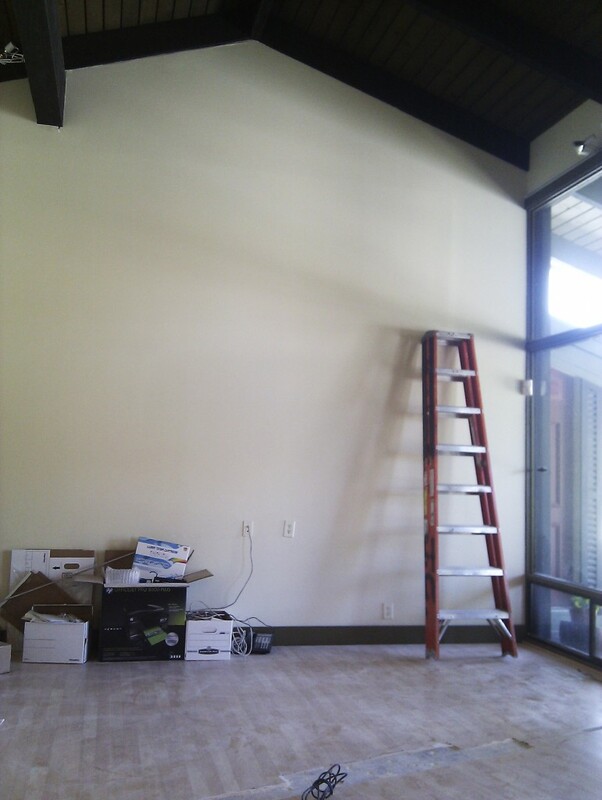 We are SO excited for this new space we’re creating! It will be the perfect area for showcasing our collection of invitations and meeting with our clients. We hope our new showroom will inspire our brides to create the invitation ensemble of their dreams. Estimated completion date is in a few weeks. We’ll send sneak-peeks, don’t worry. Did we mention how ecstatic we are about this project?? We hope you are, too. In fact, we’d love your opinions on what to include in our showroom! Conversation area? Mini bar? Please weigh in and leave a comment below! We’re here to please. 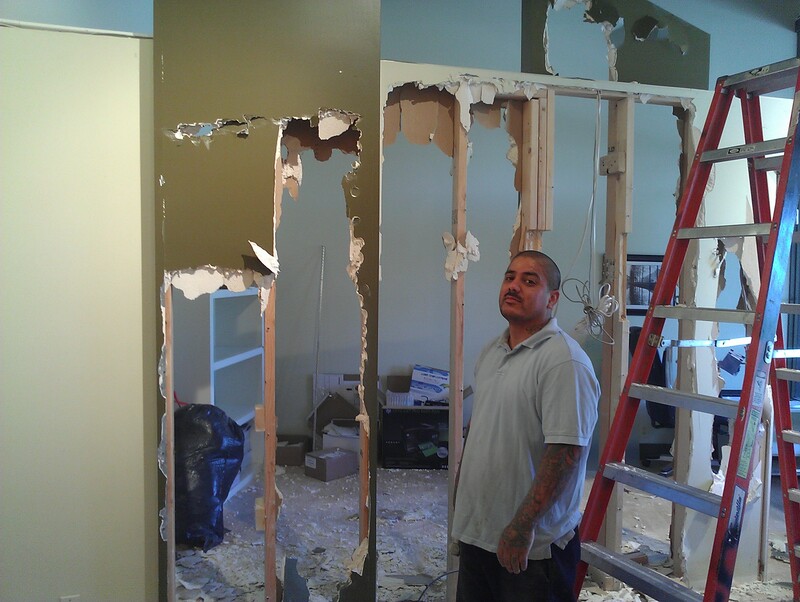 Here’s to demolition and new creative spaces!